When you decide to go with a bob hairstyle, you don't need to be stuck with a Katie Holmes or Victoria Beckham look alike style. There are many different versions of the bob, and one for just about everybody. 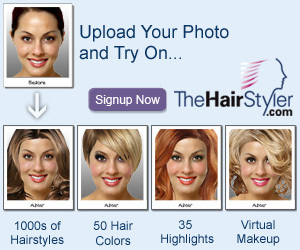 Take the bob hairstyle pictured below. This was a smooth style for Radha at the Feast of Love premiere. Her hair was cut to one length and long soft layers were cut into her back and sides to add movement to her ends. Her side layers are also cut slightly shorter to create softness through the front.